New Publication: The company will be producing a ‘Personal Independence Payment Case Law Pack’ by spring 2019 which will contain a digest of case law decisions covering the disability-related qualifying conditions for Personal Independence Payment both ‘daily living component’ and ‘mobility component’. Each publication is available in both traditional book format and electronic format (on a USB stick). Those purchasing a copy of in the electronic format will also get included on the USB stick a full electronic copy of all the case law decisions and judgements summarised within the particular publication. The key to being able to establish and assert entitlements to benefit often rests on being aware of the correct legal line which should be adopted in a particular case. In many situations this cannot be achieved by simply studying the relevant rules and regulations. This is because both primary and secondary legislation can be non-descript, ambiguous and/or open to different interpretation. In many situations it is only through study of surrounding case law that one can obtain a true appreciation of the correct legal test as it should be applied. 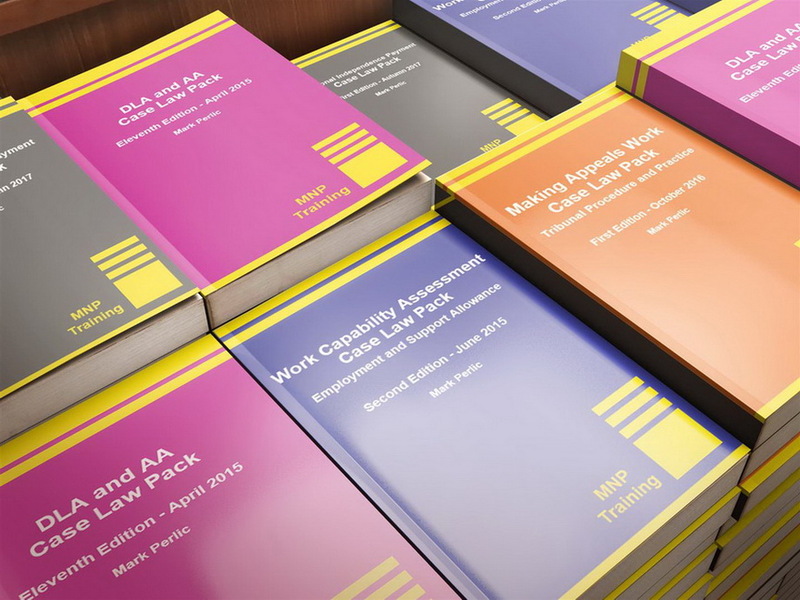 The above publications are an essential resource for those assisting with claims and appeals surrounding Disability Living Allowance and Attendance Allowance, Employment and Support Allowance (including Universal Credit where entitlement has been established under the ‘work capability assessment’). Those undertaking appeals work (both First-tier Tribunal and Upper Tribunal) who are unsure of the correct approach to matters such as postponements, adjournments, paper hearings, oral healings, evidence and adverse decisions will benefit from the ‘Making Appeals Work (Tribunal Practice and Procedure) Case Law Pack’.